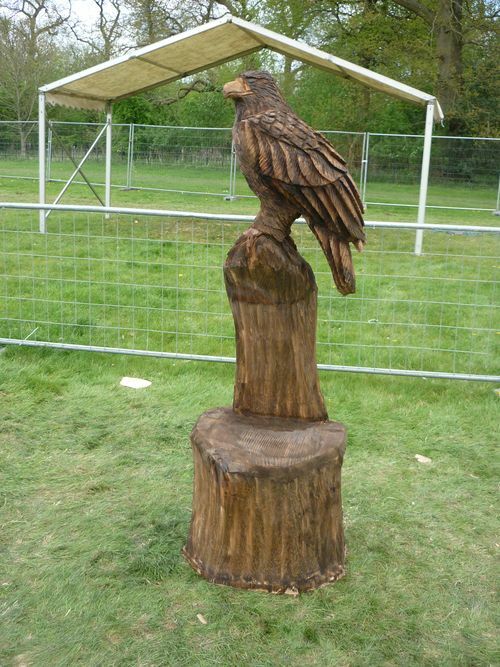 This large eagle was sculpted with achainsaw ONLY from a large log of Sitka Spruce. Its overall height is six feet. It was created in six hours at the England V Germany competition, Broadlands, Hampshire, May, 2010.